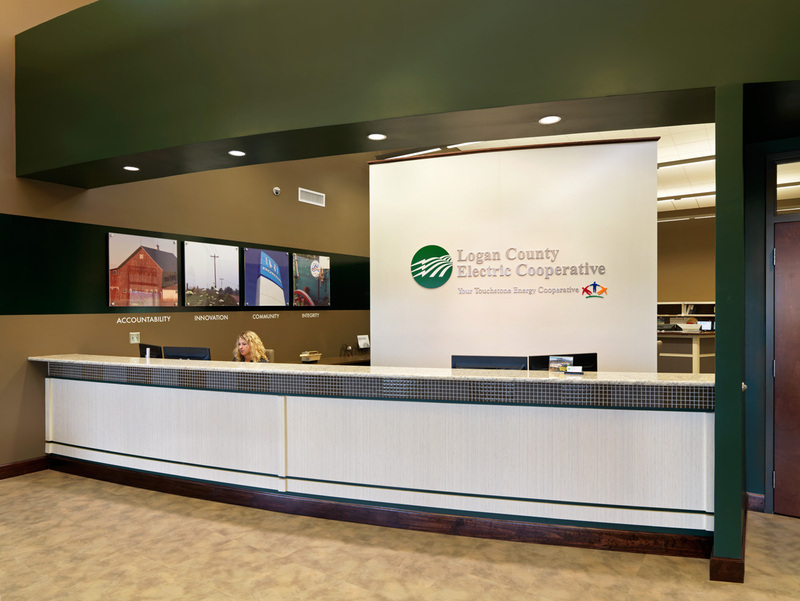 Garmann/Miller was commissioned by Logan County Electric Cooperative to design a new administrative office and a public meeting room addition to replace their outdated office facility. 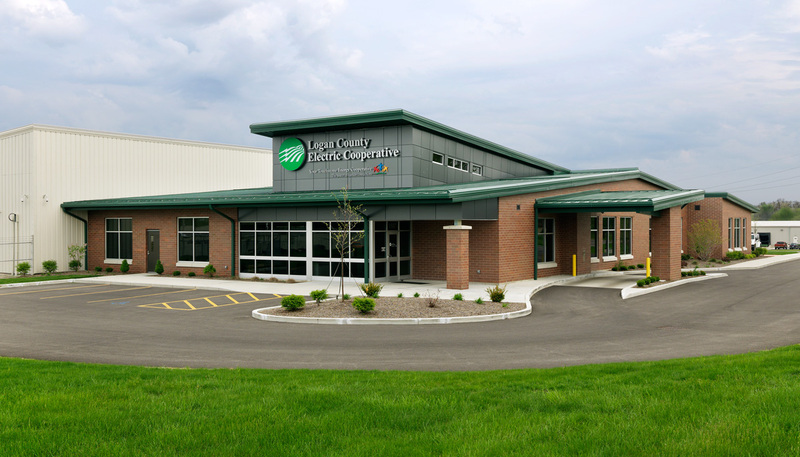 Renovations to the existing building consisted of fitting the pre-engineered metal building warehouse with a new roof structure and lineman areas. The existing office structure was demolished to accommodate the new office facility. There was extensive site regrading with a new parking and driveways design to compliment the new office. 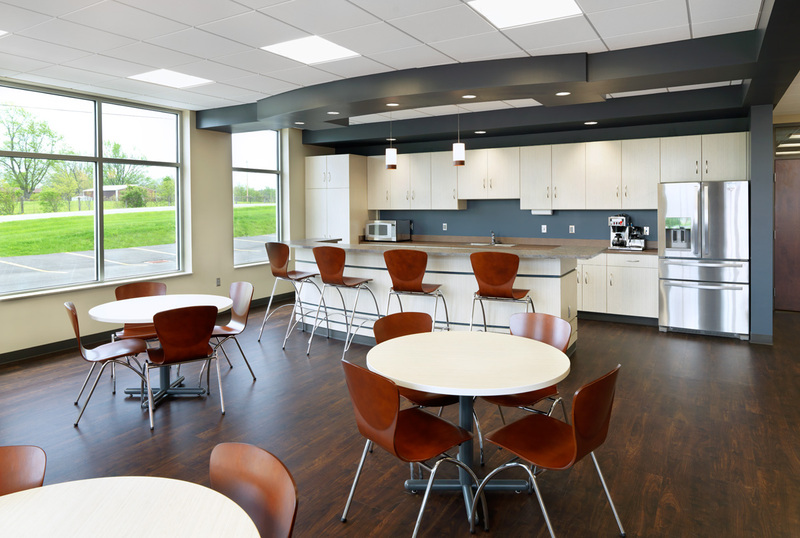 The project included state-of-the-art communications, a geothermal heating/cooling system, a large open reception/work area with a high ceiling illuminated by clerestory windows and state-of-the-art lighting. 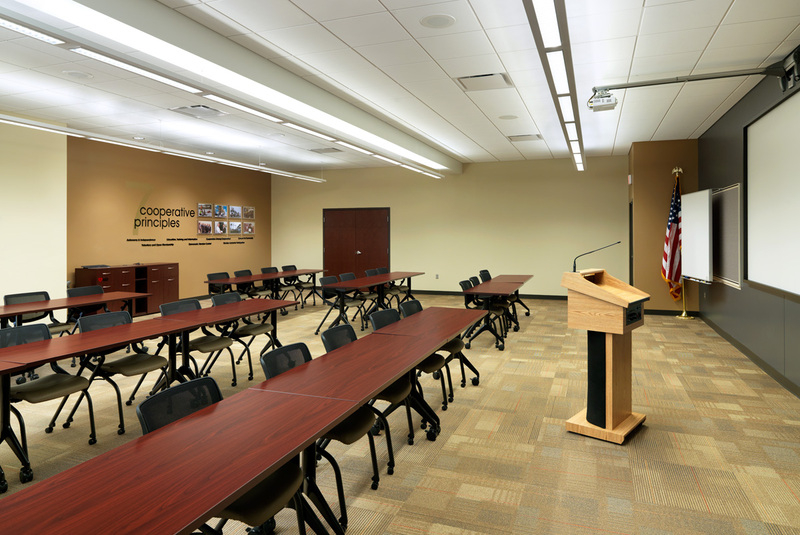 The office has a contemporary design utilizing brick, glass and architectural metal wall and roof panels to enhance the image of a successful business dedicated to its clients.